In our crossbred world, yesterdays’ foreigner finally opens new beneficial ways; at the limit of learned and popular music, the saxophone, the guitar or the accordion, become precious instruments to attract the young public. In a relatively difficult general musical context, the saxophone “market” has developed considerably in proportion with the improvement of the instrumentalists’ standards and of their repertoire; new ways allow the youngest to access a concert experience. Students arrive nowadays to the Conservatoire with an almost professional technical level and earn their living quite (too?) easily with classes and “business” and their spirit is hardly on the alert in front of the challenge of the market globalisation; next year I will have 7 French students, 3 Japanese, 1 Spaniard and 1 Slovenian. When I started at the Conservatoire in 1988, 100% of the students were French. The starting level of French saxophonists remains very solid globally, but one can hear more and more excellent instrumentalists, especially Spanish, Japanese or Scandinavian. The goal of a qualification and then of a “position” restricts artistic horizons. There is too much reluctance for international exchanges, not enough active participation in public classes, or attendance to Conservatoire concerts. The inter-departmental exchanges (cf. our previous productions or projects with the jazz, singing, percussion, electroacoustics, dance and improvisation classes), the close collaboration with student composers, and the participation in activities of Parisian institutions (broadening of the notion of pedagogy with the Châtelet) help students to make up their own path, to define their own identity; there is still a lot to be done to give confidence, to encourage availability… It will be easier when they are all aware of the essential role of the musician in tomorrow’s social adventure. 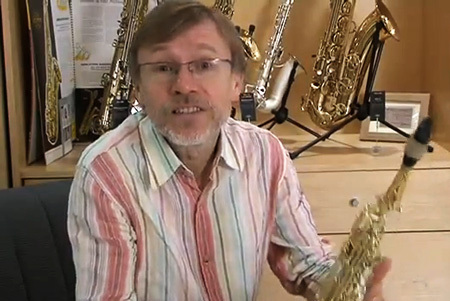 Author’s note: it is urgent to further train saxophonists (who will anyway become active professionally) in the advanced level and to create a class at the CNSMDL.